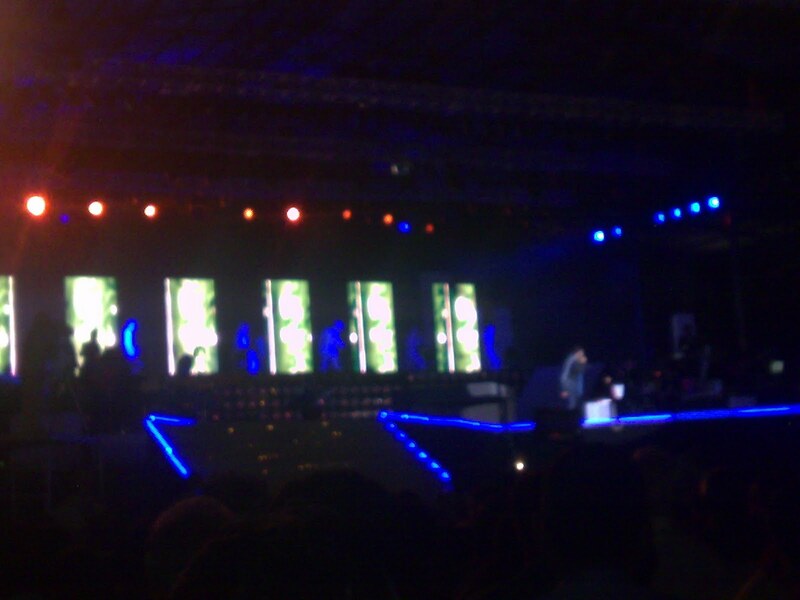 I Was At The A.R.Rahman Concert! Yes I Was!!! 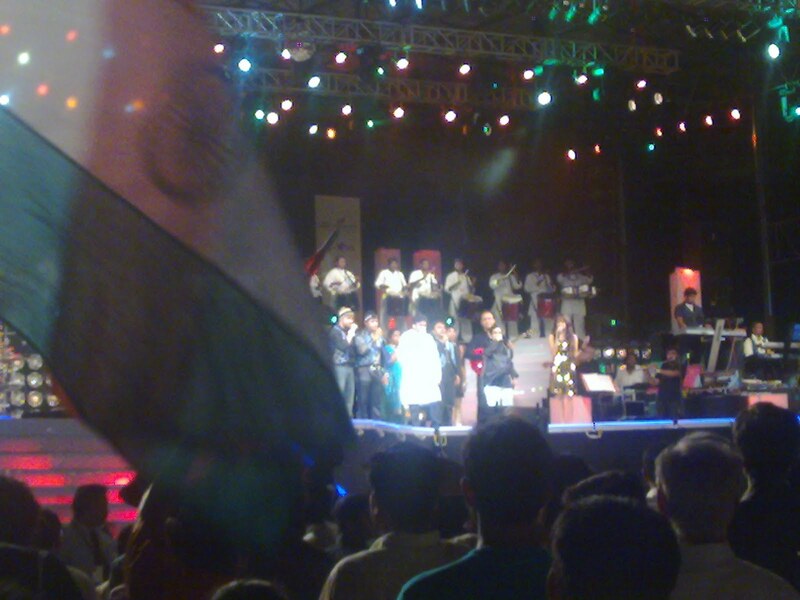 On sunday I was one of the determined few who decided to brave it out to get to the A.R.Rahman concert! And now that’s one thing I can tick off from my “to do” list that I created mentally. I have always always wanted to watch a live concert. We left home at around 2.45 for a 6.30 concert. Yes, thats how far Marg Swarnabhoomi is. Even before we could come within proximity of leaving the city limits we were starved and took a pizza on the go. Funily enough we were not the only people eating as we drove because there were hundreds of cars moving in the same direction – towards ecr with people stuffing their face with food. I guess nobody really wants to miss lunch. My cousin filled up his SUV and we drove and drove for what seemed like eternity! We crossed ecr, then this lovely bridge place with the backwaters below it. Marg Swarnabhoomi is situated someplace between Pondycherry and Chennai and some say its around 100kms from Chennai and well, it is. We reached the venue by 6 and the place was already overflowing with people! The first time I saw the stage I was disappointed. I heard that there was going to be some kind of a laser show but the stage looked so plain, so ordinary. Just as we were about to enter some VIP people walked in fron of us and we sneaked inside with them to the VIP seating area! Yes! I was THAT close to the stage. But unfortunately the speakers were right in front of me. The concert was supposed to start at 6.30. It was 7.00 and Rahman was yet to come. I guess all celebrities HAVE to arrive fashionably late. Its like a law or something. By 7.15 people were restless and every five minutes there was whistling and shouting and screams of “Rahman is coming NOW!”. “No, now he is coming!”. “Oh can you hear the siren? Ya, NOW he has come!”. But he came at 7.30 and the crowd erupted into hysteria! 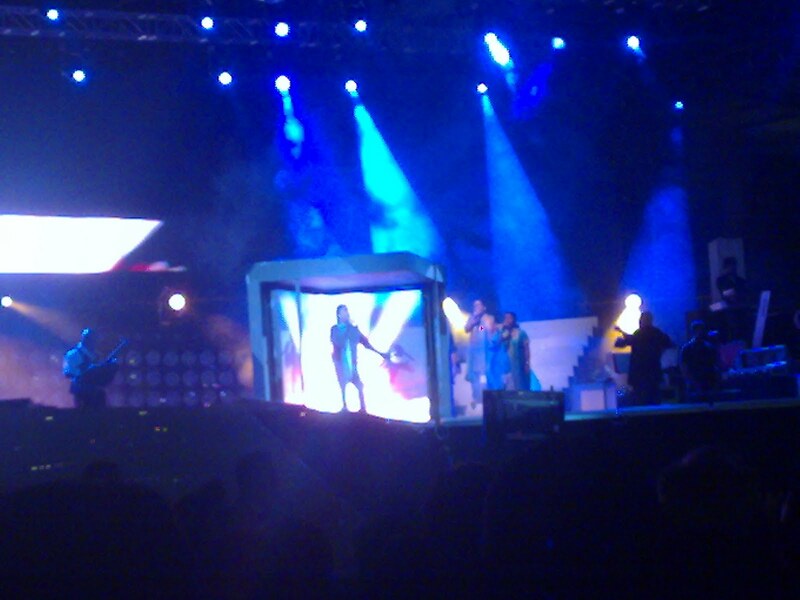 His starting song was some song from Jodha Akbar. Having hated that movie I couldn’t care less for the songs. But the crowd was going crrazy! 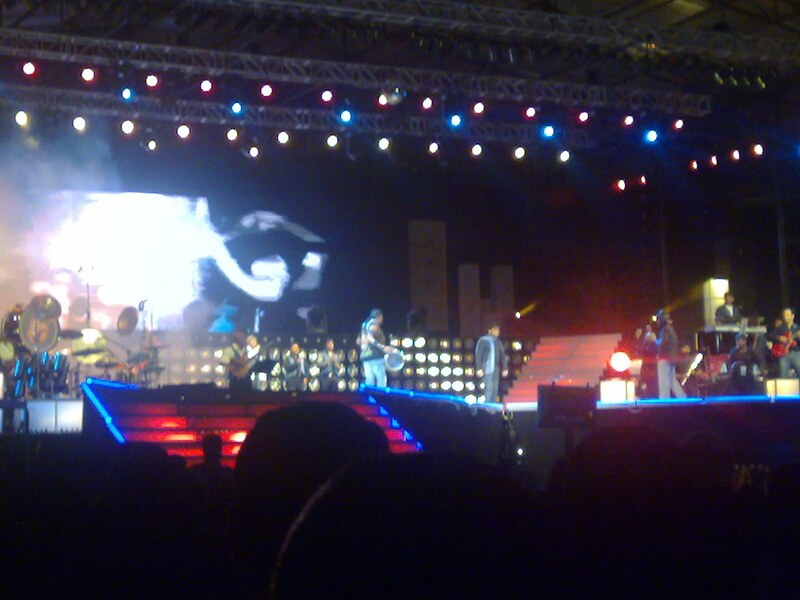 And Rahman started “athiradee kaalam” and thats all. Crowd was uncontrollable!! 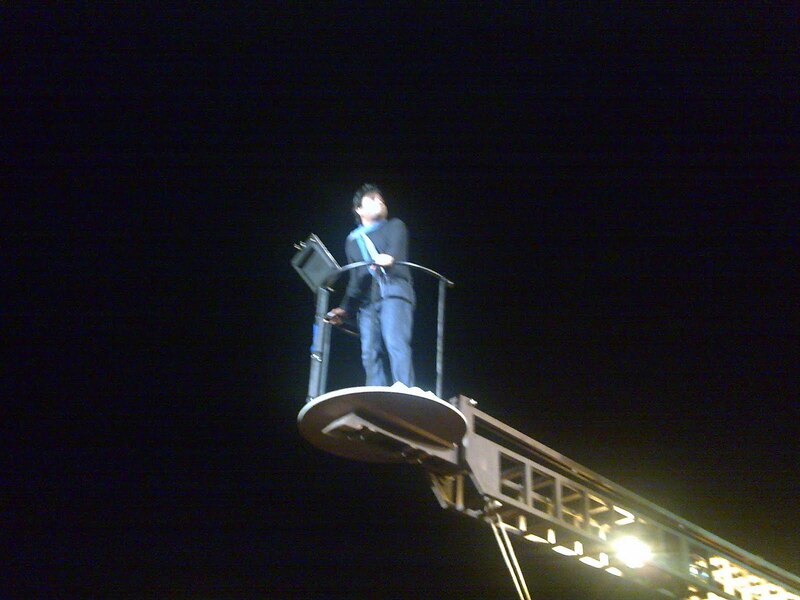 Later he came up in one crane like thing right above where I was sitting! And he was all “vanakkam Chennai. Nalla irrukingala?”. Avaladhan. 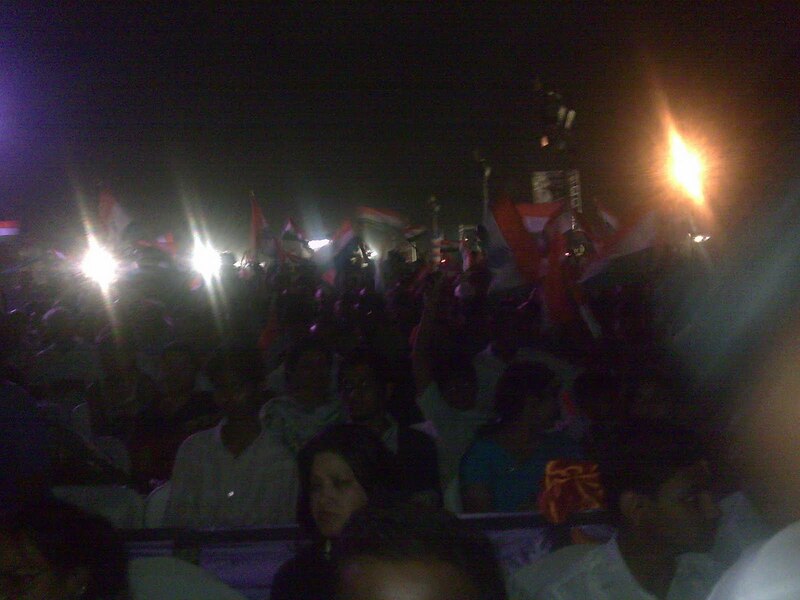 People were screaming “Thala!” “Thalaiva!! !” and he started singing that konjum weird song of his which I don’t like. That song with the free hugs campaign thing. And Chennai-aites are not very fond of anything Hindi. Let alone hindi A.R.Rahman songs. He was belting out one hindi song after another and the crowd was just being polite because it was rahman and they din’t want to be mean to him. But when this straight haired singer female whose name I don’t know started belly dancing to Mayya Mayya thats when people started to take notice. Who came with their families and were making eyes at the pretty singers and those side dancer girls. Then one super irritating Marg Swarnabhoomi- owner guy -I -think came on stage and was all “Oh religious heads from the three religions are asked to come on stage”. And the religious head for Muslims is the head man or whatever from Nagoor Dargha! And that was when my tolerance reached its peak! Coming back to the concert, after that lame guy blah blah-ed his way through, the last 20 minutes of the concert was mind blowing! Eveyone were recovering from the lame guy when this guitar dude came and started plucking a few strings (chords?) and played our favourite cult song! The 70,000 people there would have hugged Rahman if they let ’em. It was AWESOME!! I don’t know why that song is so popular but for some reason it just is!! Oh ya! We could so say humma! And that made our day! There is nothing better than tamil songs I say! 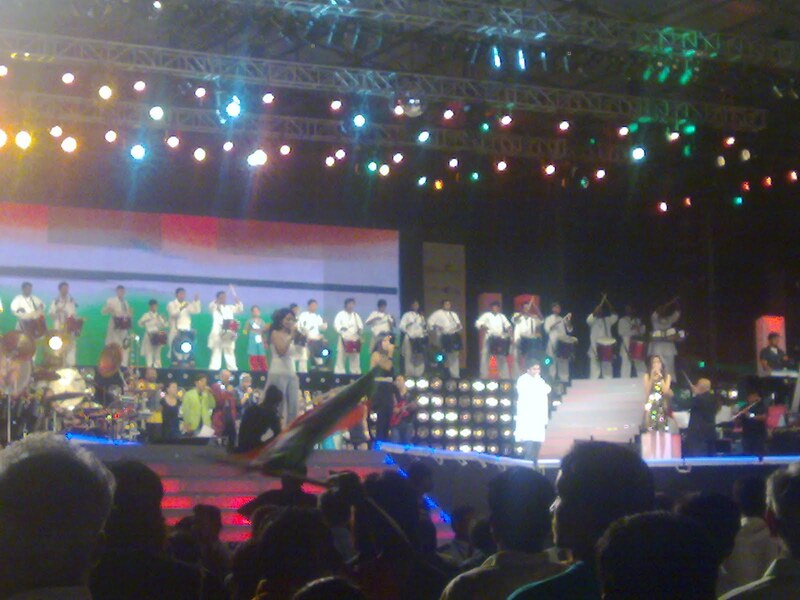 As predicted he finished off with Jai Ho since it is a jai ho concert. I’ve heard that song close to a few hundred times that it now sounded stale to my ears. He then fused it with Vande Mataram and there were sparklers going off in the sky that just added multitudes to the experience! 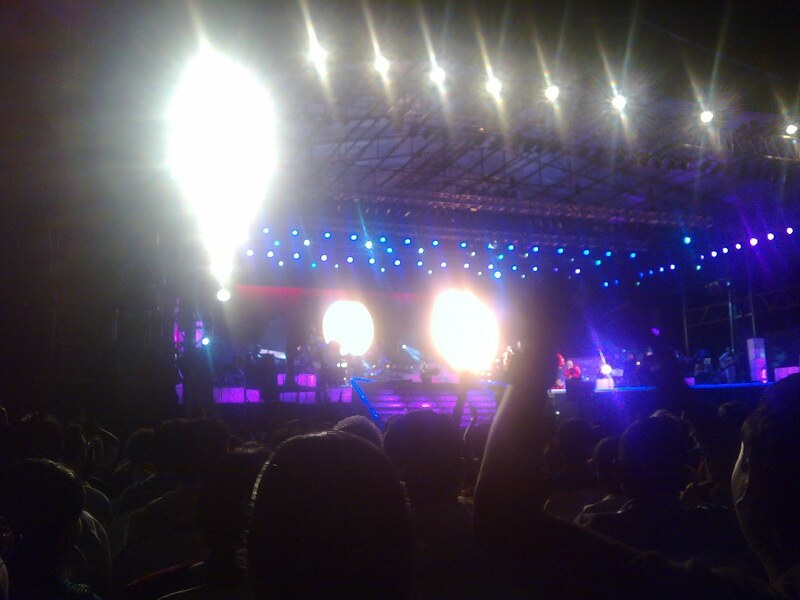 And thats how the concert came to an end with Rahman saying “Bye Chennai. Dirve Safe”. And I tell you, people did NOT want to leave!! Thats how awesome it was. But people were leaving. And quickly. The concert ended at 11.30. The drive back to the city would take around 2 hours and noone wanted to get stuck in the traffic. We managed to (again) sneak ourselves in between tow VIP Ambasador cars and get out early. But we drove for so long and reached home at 1.30 am. → And Where Have I Been You Ask? 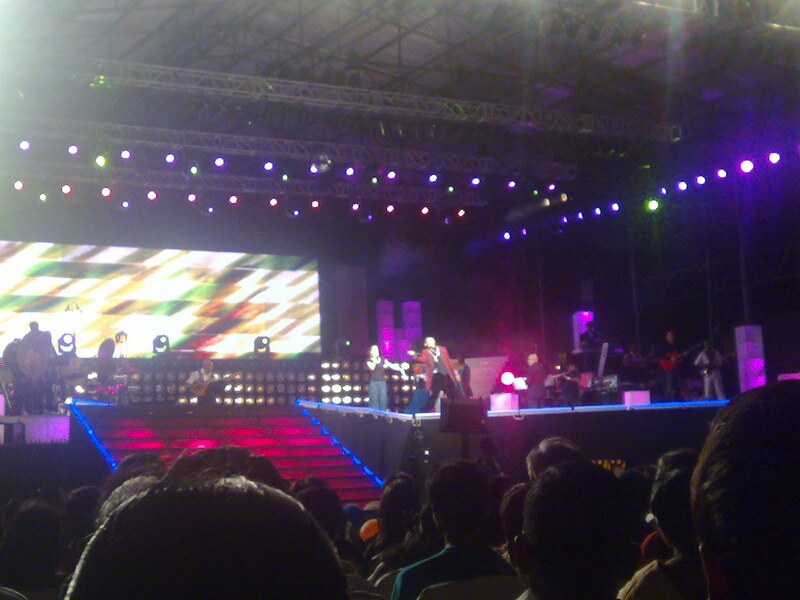 ARR concert, and you didn't manage a photo with him ?Seems like you had loadsa fun ! You wouldn't believe the amount of security he had! They wouldn't let even a fly through! hmmm, next time, we use ninja skills and steal rehman for a pic, ok :D ? ?Cheers, IM !